This decal is made of mylar and is weather and UV resistant for outside application. 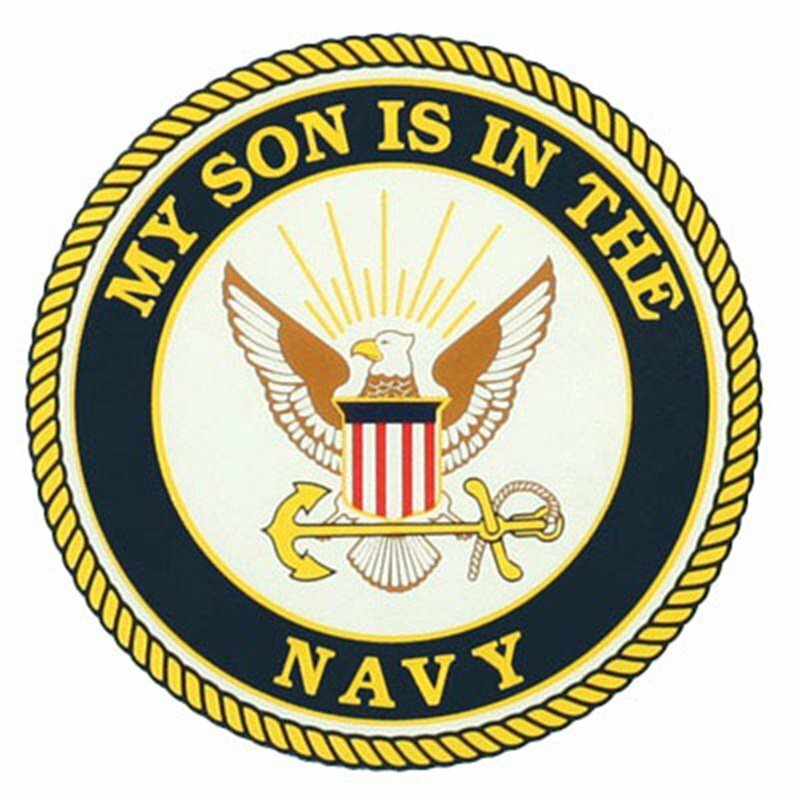 Everyone will know how proud you are of your Son in the Navy. This decal measures approximately 4 x 4 inches.